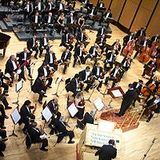 Orchestra music tends to get a bad rap - one imagines long, boring instrumental pieces, uncomfortable evening wear and stuffy audience members - but it doesn't have to be this way. By definition, an orchestra is a large, instrumental ensemble that includes sections of string, brass, woodwind and percussion. They don't have to be of a certain size to be termed an orchestra, nor are they required to play classical music (although, if you've ever watched a Looney Tunes cartoon, the chances are that you've already heard most classical orchestral arrangements). A good orchestra will lose you in the emotions and passion of the music, be it baroque or contemporary. Orchestra newbies might like to acclimatise by taking in a performance by the Queensland Pops, an ensemble that performs modern day music. Recent performances include Broadway Showstoppers and Best of British. 2011 will see the Queensland Pops back comic musician Tim Minchin is a variety of performances. You can view their full performance calendar on their website. Next, enjoy a more traditional experience with a performance by the Queensland Symphony Orchestra, Queensland's only professional orchestra. The 88 piece band gives more than 100 live performances each year – in 2011, this will include concerts with The Whitlams and Kenny Rogers, Music on Sunday sessions, baroque tributes and gala events. Professional orchestra performances can be pricey, especially if you like to attend regularly. Community orchestras, comprised of local musicans, can provide an equally entertaining concert. You can find a list of community orchestras here. It doesn't matter if you prefer Beethoven's Fifth or Rodgers and Hammerstein; Brisbane is home to orchestral ensembles to suit all musical tastes.